Our massive catalog filled with the best Adventure motorcycle parts, camping gear, and travel accessories. The Touratech catalog also features travel stories, bike builds, and lots of exciting pictures. Whether you’re a seasoned adventurer, or just getting into the sport, the Touratech catalog is a must-have on your bookshelf. 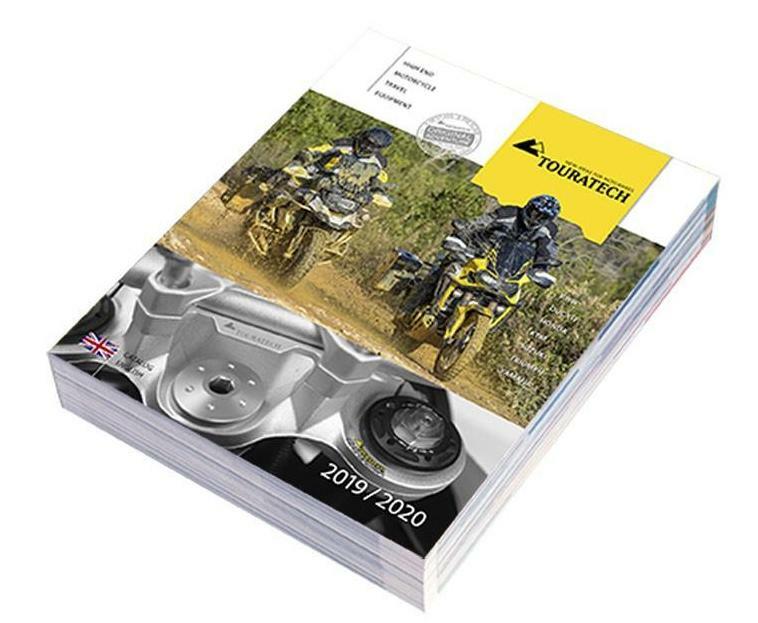 The Touratech Catalog has sections for most Adventure Touring Motorcycles, as well as camping, riding gear, navigation, tools, clothing, and travel equipment. The Touratech Catalog is FREE and Ships FREE so order your today!! CLICK HERE TO GET YOUR FREE TOURATECH CATALOG!! !